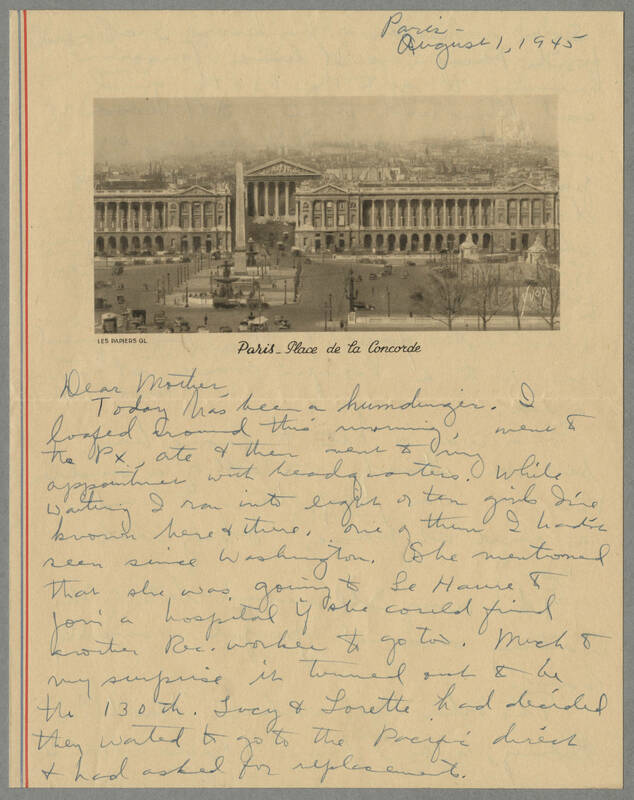 Paris - August 1, 1945 Dear Mother, Today has been a humdinger. I loafed around this morning, went to the PX, ate & then went to my appointment with headquarters. While waiting I ran into eight or ten girls I've known here & there. One of them I hadn't seen since Washington. She mentioned that she was going to Le Havre to join a hospital if she could find another Rec. worker to go too. Much to my surprise it turned out to be the 130th. Lucy & Lorette had decided they wanted to go to the Pacific direct & had asked for replacements.